Gravity casting is the process of casting liquid metal under the gravity of the earth, also known as casting.The generalized pressure casting includes pressure casting and vacuum casting, low pressure casting, centrifugal casting, and so on, and the metal type pressure casting of narrow pressure casting special pressure casting machine, called die casting. Precision casting plant has been engaged in gravity casting of sand mold and metal mold for a long time. 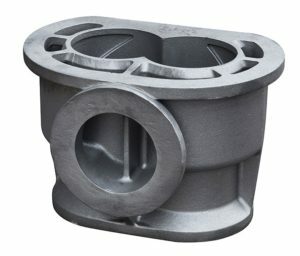 These casting processes are the most commonly used and the lowest price in the nonferrous metal casting at present.We offer Aluminum gravity casting services for many years. The sample above shows are made for our oversea customers,which made by Gravity Casting.This kind of casting is cheap on Mold cost. Car, traffic, machines etc., also, the tooling, CNC machined, Lathe, Chemical etching, sandblasting, polishing & grinding, powder coating are finished inside. except for the Die Casting process, also with the Die stamping, Auto-punching inside. To be confirmed with customer. We can offer all kinds of packing according to your request. Depends on your order quantity.Generally speaking, it needs 7-40days. Metal Parts Solution for Vehicle, Agriculture machine, Construction Machine,transportation equipment, Valve and Pump system, Agriculture machine,metal Parts, engine bracket, truck chassis bracket, gear box , gear housing ,gear cover, shaft, spline shaft , pulley, flange, connection pipe, pipe,hydraulic valve, valve housing ,Fitting , flange, wheel, fly wheel,oil pump housing, starter housing, coolant pump housing, transmission shaft , transmission gear, sprocket, chains etc.